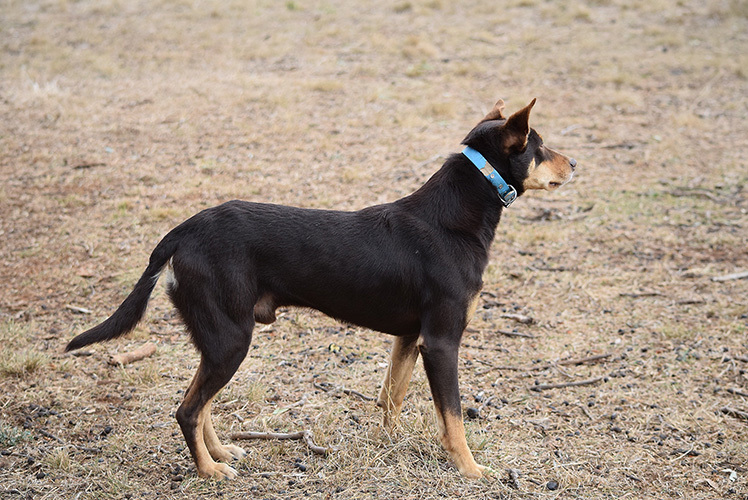 Changi is one of the best dogs I’ve bred to date. 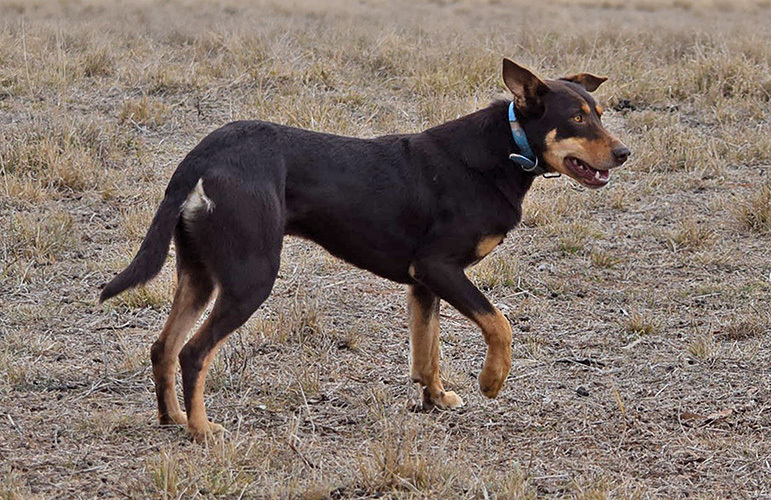 He is a litter brother to Cherry, who has been retained in the stud; both are by the blind dog, Benalee Chance. 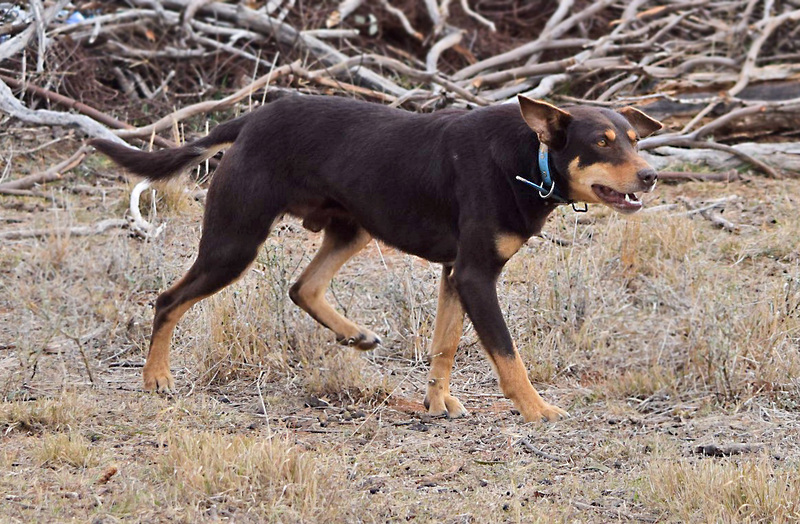 Changi belongs to Ronnie Robb who works on Gerar Station near Nyngan with Dave Motley. Garry White also works some of his dogs there, so it’s not as though Ron doesn’t have plenty of good dogs to compare Changi with! He’d been telling me for some months how pleased he was with the dog, and what a nice natural worker he is…using his brains and not needing much instruction when mustering. I became more interested when Ron said Changi also had a good nose bite on cattle, and sent Mocha out there to be mated to him when Remy came back to whelp this year(2017). I have since driven out to collect Mocha and saw Changi and K.Harvey, also owned by Ronnie, working goats. 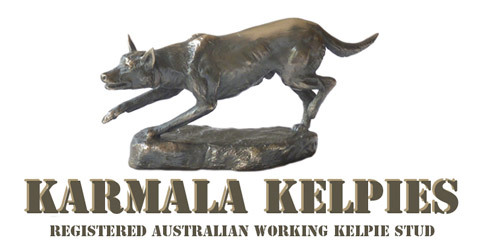 They are two of the nicest Kelpie dogs I’ve seen for a long time, I was very proud to have bred them and thank Ron for doing such a great job with them. He recently turned down $10K for Harvey.